The National Association of Federally Impacted Schools (NAFIS) represents the 1,200-plus federally impacted public school districts that together educate more than 10 million students across the nation. Federally impacted school districts are those located on or near nontaxable Federal property—including military installations; Indian Trust, Treaty and Alaska Native Claims Settlement Act lands; Federal low-income housing facilities; and national parks, national laboratories and other Federal buildings and property. These school districts, which are demographically and geographically diverse, receive Impact Aid. Public school districts are funded in large part by local revenue, primarily a combination of local property taxes on homes and businesses or other local fees. Federally impacted school districts are different, because the Federal government is exempt from paying taxes on its property. 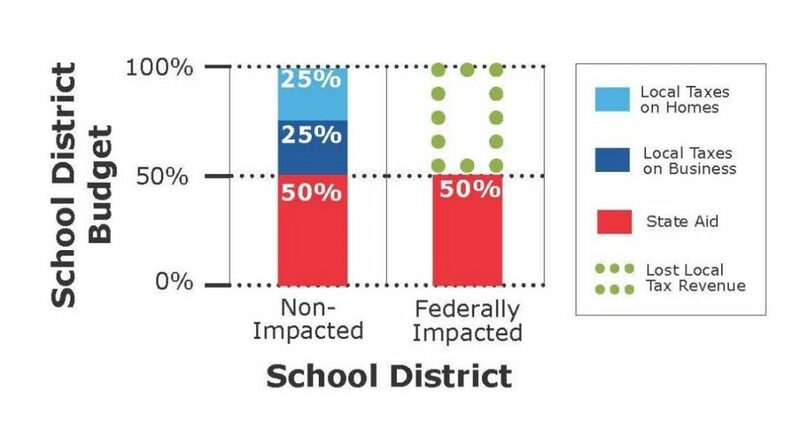 The presence of that property impacts school districts in two main ways: it reduces the local tax revenue that can be generated for school purposes; and projects and activities related to that property can cause an influx of people into a community, increasing the number of children to be educated without an equal increase in the local tax base. Congress created the Impact Aid program to ensure federally connected school districts—and the students and taxpayers in their communities—are not at a financial disadvantage. Recognizing the unique challenges that federally impacted school districts face, for more than 40 years, NAFIS has and continues to advocate for Impact Aid funding and policy changes to ensure the Federal government meets its obligation to these school districts, as well as students and taxpayers in these communities. NAFIS is governed by a board of directors elected from its membership. The association is located in Washington, D.C., with a full time professional staff under the leadership of an executive director. NAFIS serves as the umbrella organization for four subgroups: Federal Lands Impacted Schools Association (FLISA), Mid-to-Low LOT Schools (MTLLS), Military Impacted Schools Association (MISA) and National Indian Impacted Schools Association (NIISA).